What a great day today! We had some challenging conditions with a stiff current to battle, but it was all worth it the moment Emma showed up. 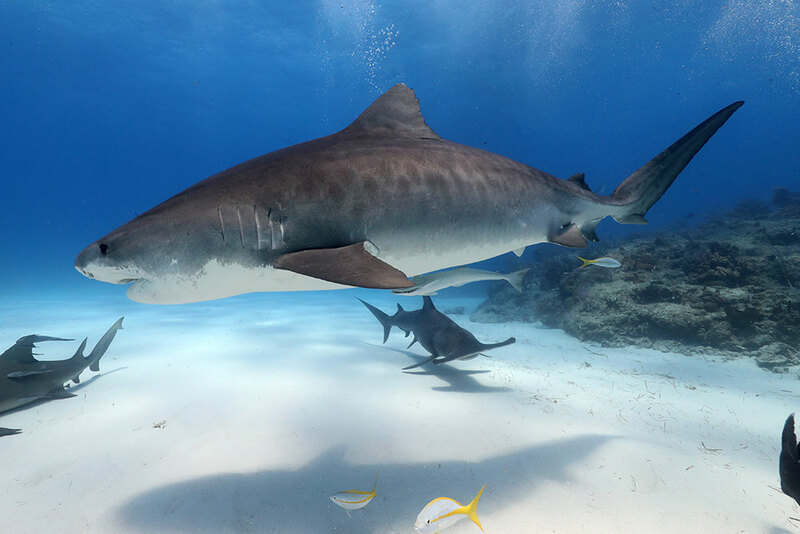 Today marks her return to Tiger Beach after leaving the area at the end of 2018. The crew was elated and the guests on this day trip to Tiger Beach were thrilled to have met the Queen of the Beach. Emma, along with 4 other tiger sharks, a great hammerhead shark, a few bull sharks, and of course the reef and lemon sharks, along with a solitary nurse shark, made for a 6 species dive! Shark diving doesn’t get much better than that! Emma returns to the Beach, joined by Scylla for a great dive!